On behalf off the #Honor1851Treaty Campaign, Robby Romero will join Treaty Riders from the Oceti Sakowin Seven Council Fires of the Lakota, Nakota and Dakota People to challenge the United States Congress to #RightTheWrong of at least one of the more than 500 broken treaties made with Native Nations. Sitting Bull, a HunkPapa Lakota Chief and Spiritual Leader united the Lakota in their struggle for cultural survival. Today, in 1890, Sitting Bull journeyed to the spirit world. In 1876 Sitting Bull, Crazy Horse and a band of Lakota and Cheyenne Warriors defeated the U.S. Federal Army, including Colonel George Armstrong Custer and his 7th Calvary, at the Battle of Little Bighorn. “Remembering Dennis Banks" Tashina Banks, Minoh Banks, Robby Romero, and Lenny Foster live on Native America Calling. “Remembering Dennis Banks" shares historical events Dennis Banks led that propelled Native American issues onto the National and International stage. Each and every day I give thanks to the Creator for the gifts of life we are blessed with; to our ancestors and the generations who have survived with great resilience, courage and purpose; to those who reclaim their culture, identity, and self-determination; and to our friends and allies who have been on the front lines with us throughout the years. The resistance against the Dakota Access Pipeline and the fossil foolish industry will continue until we are permanently protected from Environmental Genocide. 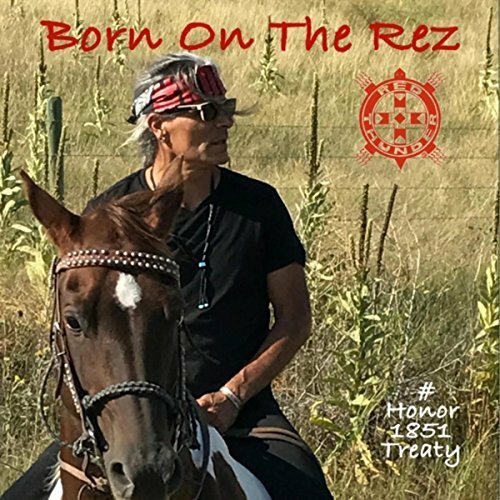 Robby Romero, Native Rock Music Pioneer, has partnered with PledgeMusic in support of the Born On The Rez music campaign to #Honor1851Treaty. Today is the anniversary of the completion of Mt. Rushmore, one of the most visited tourist attractions in America, with four American Presidents carved into the sacred land of the Lakota people. In honor of Indigenous People’s Day, with gratitude, we are gifting those who have joined our #Honor1851Treaty campaign thus far, a signed limited edition of Robby’s 2015 CD/DVD release “NATIVE CHILDREN’S SURVIVAL, “If not now, when? If not you, who?”. What an amazing show of support! Thank you for getting the #Honor1851Treaty campaign off to such a great start. Robby Romero, (Red Thunder) Native Rock music pioneer behind Native Children’s Survival, and American Indian Movement elders, Dennis Banks, Madonna Thunder Hawk, and Phyllis Young, are joining forces with PledgeMusic to launch a pre-order campaign in support of Born On The Rez, a new single, music video, public service announcement, and rockumentary film dedicated to continuing missions born out of the Standing Rock movement. Discover Dennis Hopper’s “Lost Album” of Classic 1960s Photos Dennis Hopper (1949-2010) is best known to the world as an actor and director whose films sharpened the cutting edge, whether appearing in Rebel Without a Cause (1954), Easy Rider (1969), or Blue Velvet (1986).